The Water 2 Egypt project in Egypt stemmed from the passion of a high school student and was fueled by the 2012 Lake Pointe Easter Water Initiative. The goal is to provide water filtration systems to 20 of the most needy villages in Upper Egypt through the partnership that Lake Pointe has with Kasr el Dobara. By providing clean, filtered water through our partner church in each village, we are able to help improve the overall health of the villagers as well as reach the community for Christ. In Matthew 25, Jesus calls us to meet not only the spiritual needs of people, but the physical needs, as well. Water is readily available in Upper Egypt, however the sources of that water are contaminated with sewage, various unhealthy minerals, and poor distribution. Because of this, many of the villagers suffer from kidney and liver disease as well as hepatitis B and C. By providing filtration systems capable of cleaning up to 700 gallons of water an hour, the villagers will begin to understand and realize the benefits of clean water. 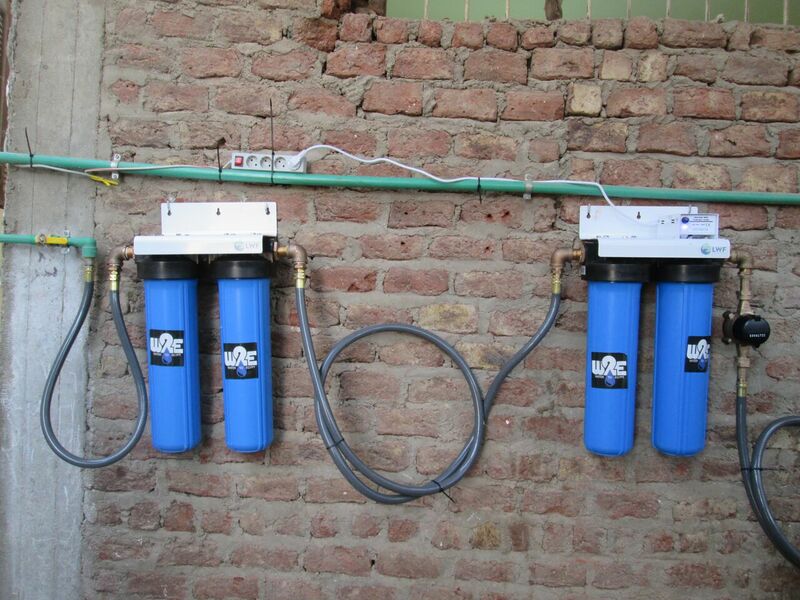 The water system filter is a 4-step process, which correspond with the 4 blue canisters. The first step after water has entered the system, is to run through a pre-filter, which filters out the large debris such as rocks, grass, etc. This filter is washable and would need to be replaced every 6-9 months. The second step is a sediment filter that removes a very large portion of dirt and grime. This filter is un-washable and must be replaced every 6 months depending on how dirty the water is. The third step is a carbon block filter. This filter is very similar to a Brita or other water filter we would buy in the U.S. This filter removes most of the minerals and chemicals that could be found in the water. One important thing to note is that after the first 3 steps, the water is around 70% pure. The fourth step is the UV light. This is where the water has all microorganisms removed and the water is completely sanitized. After this step, the water is considered 99.99% pure. The system is able to run off an electrical wall socket in Egypt (240v). It requires electricity and at least 20 psi of water pressure (enough to run water through the system). The first time through, the filter will take a few minutes to fill completely; the system must be flushed for a few minutes before water is good to drink. Currently there are 23 filter systems in operation in Egypt. Water 2 Egypt has provided over 1.8 million gallons of water in 2016 from these systems and is working with the organization Healing Grace to identify where the next systems go, maintain and clean the filters as needed, and to go as interpreters for our installation and mission teams. Our goal is for each filter to be used as another Gospel tool. We work closely with Healing Grace and the manufacturers to resolve any bumps along the way. We are very excited to be working with local Egyptian pastors to better their communities and to better their people while still fulfilling our ultimate goal: To share Christ and clean water in Egypt. Giving to Water 2 Egypt is simple, speedy and secure. Water 2 Egypt is a Ministry of Lake Pointe Church and Transform Egypt. Get your Life Group or other social group involved with raising funds for water filter systems in Egypt! Each water system costs approximately $5,000 and this is a great opportunity for your group to collectively support this ministry in Upper Egypt. 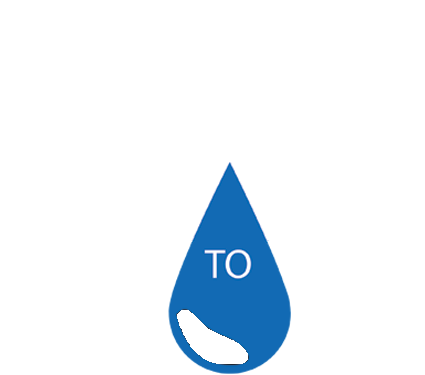 View our Social Media Action Package to show your support to Water 2 Egypt with profile images for Facebook and Twitter! So far two groups of over 45 people have raised over $12,000 for clean water in Egypt. You can get your friends, coworkers, whoever to give as a group or to try and raise money as a group! Email us to find out more! Want to get your group involved? Now that you want to get your Life Group, your Bible study group, your coworker group involved, email us with your name, contact information, and the name of your group. Then check back each week for updates and to see how your group is faring against other groups!